HomeNewsThe Monday After – What’s going on at MK? The Monday After – What’s going on at MK? WHAT’S GOING ON AT MK? An email drops into my inbox on Thursday, titled “MK Lightning reassure fans and sponsors over club’s future.” Straight away my interest is piqued. I open it up and read the content of it, detailing how MK are confirming they’re staying in the Elite League and are already preparing for next season and are perhaps altering how they work in the background, while still urging fans to come and support them. All rousing stuff and good to hear from a Milton Keynes and, I suppose, a general fan’s perspective. After all, you don’t want to see another team tumble out of the league so soon after Hull Stingrays and Edinburgh Capitals in the last few years. But I’m left to wonder why they felt pushed to make such a statement. Have I missed something here? Was there enough doubt in the air for a club’s management to have to come out with such a thing? Clearly there was otherwise it wouldn’t have been written and posted in the first place which then leads me to wonder if Lightning can overcome their two-year teething troubles and establish themselves as an EIHL club. As an outsider looking in, I can only imagine it’s been a testing time for the fans, who enjoyed some success under Pete Russell before making the step up and nights like Saturday, when they finally snapped a lengthy losing streak to win, albeit on penalty shots to beat Dundee Stars, have been few and far between. But it’s important, going forward, they learn the lessons from the last couple of years and in Graham and Monica Moody, two local businesspeople that are fans as well, there will be no-one more desperate to see them make a success of the organisation. The statement also included the news that Ryan Lannon had stepped back from coaching to concentrate on playing, leaving Tim Wallace in sole charge for the remainder of the season. Plus that Wallace was in “advanced talks” about coming back next year. 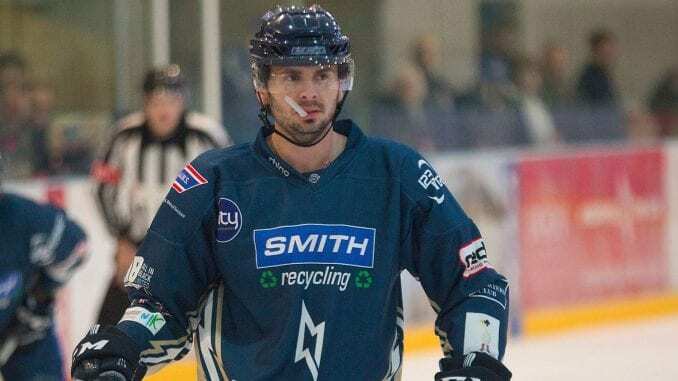 As news goes, that’s a very positive one to take and if he comes back, gives Wallace the chance to build his own team and make a proper go of it in the Elite League next season. All that considered, it would be sad if this statement was a mere smokescreen to any real issues that are underlying that may become known in the fullness of time. We’ve seen it in sport all too often where the chairman/president is telling everyone things are fine, when the structure behind them crumbles in the background. We can only hope we see what Milton Keynes Lightning are capable of next season if they get things going in the way they hope and intend. The finalists of the Challenge Cup will be known by Thursday night and while a final involving Belfast Giants and Nottingham Panthers would make for an intriguing spectacle, how good for the league would it be to have Glasgow Clan and Guildford Flames in there? You’re talking about two coaches who have only been involved in the Elite League for two seasons, one coaching his second club, bouncing back at a team who had a disastrous campaign last year against a guy in with the bricks at his current club, holding his own against more arguably glamorous opponents. Can you imagine the fans of Glasgow and Guildford invading Cardiff for a game that could be an absolute classic? It’s one to get excited about if it happens and with, no disrespect to the other two, would surely be more attractive for any neutrals than seeing Giants and Panthers in there again. Even having one of those teams in the final would be a good thing so it’s a case of seeing just what lies in store when the last four are whittled down to two. CAN GB BE SHOCK TROOPS IN SLOVAKIA? 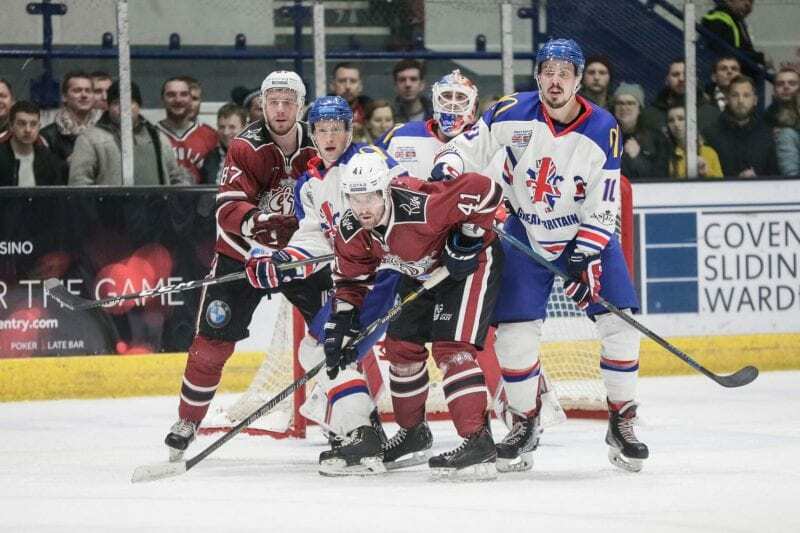 There can’t have been many people predicting a 3-1 win for Great Britain over Dinamo Riga in the friendly in Coventry on Wednesday, but it may raise expectations. As they showed in Budapest last year, the national team don’t shirk a challenge and in the build-up to the game, we saw captain Jonathan Phillips and coach Pete Russell warning of the difference in style in a team like Riga to one they perhaps encounter on a more regular basis. They passed the test with flying colours and with no international action this side of the play-offs, it will be interesting to see if they can carry that on and take momentum into the World Championships in Slovakia in May. Expectations in a group like that are low, but if results go anything like they did through the week leading up, the opponents may just cast a cautionary eye over the Brits before they take them on. Regarding MKL , years ago the ” old ” Manchester Storm showed a video on the M.E.N jumbotron with players skating and scoring against opposition , which basically said ” this is OUR team OUR league OUR home , and where not going anywhere!” The rest is history. With rumours of a revamped E.P.L with lower costs I gotta wonder how many Elite league teams including M.K.L will still be Elite 2019 -20 season. We shall see.